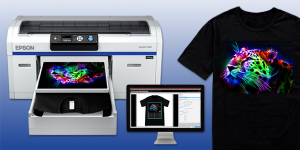 This is an invitation to our FREE direct to garment printer webinar on December, 7th, 3PM Eastern Time. 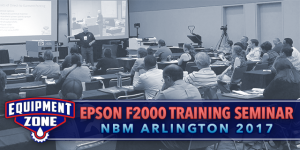 Presented by Epson and Equipment Zone, we’ll begin this seminar with a discussion of the direct-to-garment process for those new to the technology, including how to keep your machines operating at maximum production. 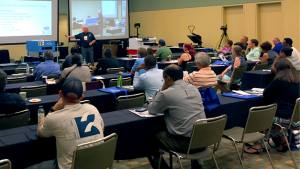 This seminar is an overview of the entire process, what can I print, what can I not print, what will I need to buy to be successful, and finishing with a question and answer session for all attendees. THE NBM SHOW, co-located with Graphics of the Americas (GOAExpo.com), is THE place top industry manufacturers and suppliers showcase their products and services. Here you can connect with current suppliers and find new ones! Presented by Epson and Equipment Zone, we’ll begin this seminar with a discussion of the direct-to-garment process for those new to the technology, including how to keep your machines operating at maximum production. The secrets of proper maintenance and perfect pretreating will be covered as well. We’ll also discuss pricing and selling your product, with examples of successful decorators from around the industry. Atlantic City Convention Center, One Convention Blvd. 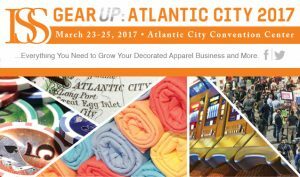 ISS Atlantic City is the largest show on the East Coast dedicated to the decorated apparel industry. With over 200 exhibitors, ISS Atlantic City serves as the one-stop shop for the latest equipment and new techniques. 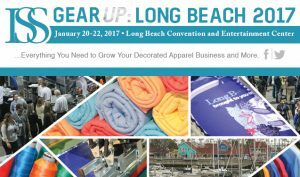 Join us March 23-25, 2017 as we co-locate once again with Expo East (produced by PPAI), bringing thousands of additional qualified buyers/attendees to the show!